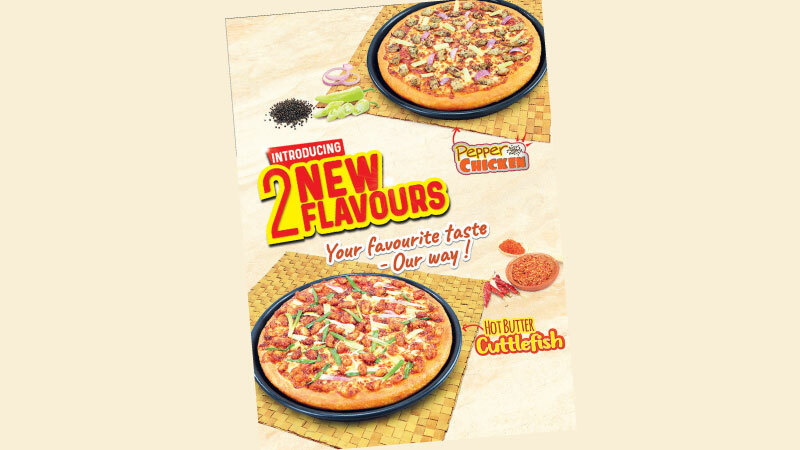 Home Pizza Hut introduces two new flavours for Avurudu season! Pizza Hut introduces two new flavours for Avurudu season! Pizza Hut introduces 2 delicious new pizzas during this Avurudu season - the all new Hot Butter Cuttlefish Pizza & the Pepper Chicken Pizza! The Hot Butter Cuttlefish pizza is made with delicious hot butter cuttlefish, tossed with chili flakes and topped with a gathering of spring onions and capsicum. The Pepper Chicken pizza is made with succulent pieces of chicken, marinated in pepper and mustard, dressed in vinegar and topped with onions and capsicum. Both pizzas also include a double layer of delicious mozzarella cheese. “We believe that these 2 pizzas are the perfect products to be introduced to the menu at this time of the year. We feel these products would prove to be extremely popular amongst our loyal customer base,” said Sharmila Arasaratnam, Director, Marketing of Gamma Pizzakraft Lanka (Pvt.) Ltd. Both pizzas are available under the Signature category of the Pizza Hut menu, starting at Rs. 560. They are available in Pan crust, Italiano and Thin Crust. You could visit the Pizza Hut, call 2729729 or simply order online on www.pizzahut.lkor via the Pizza Hut app and experience your favourite taste - our way!